The humble homophone is responsible for more wars than you might imagine. Also, funny and endearing confusion, leading to war. Then there’s misinterpretation, leading to war. Then there are moose, funny, confusing, peacenik moose. 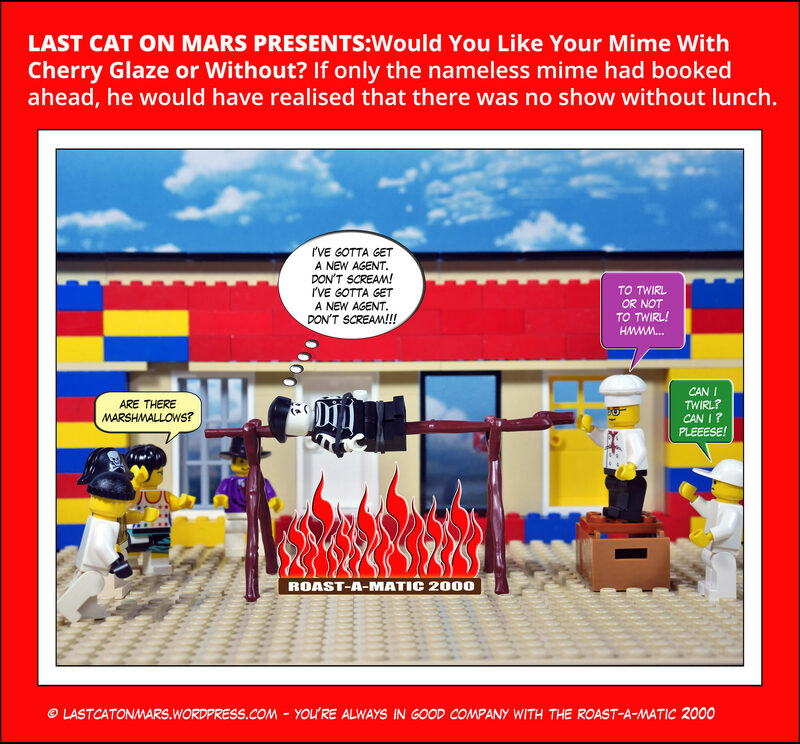 This entry was posted in Variety Show and tagged cartoon, comic, homophones, lego, minifigures, moose, mousse on February 21, 2018 by Jay Verney.